Free summer programs for high school students are abound if you know where to look! There are a variety of experiences designed to boost and help teens on their way to college. Traveling for free can make or break a high schooler's summer. Find programs that allow you to travel abroad and throughout the U.S. for free this summer. High school seniors that are over 18 and of Jewish decent can take a 10 day journey to Israel. This trip allows you to explore the sights and cuisine of Israel such as rafting, hiking and connecting to the history of the country. Inspiring Girls offers tuition-free summer wilderness expeditions to places like the Rocky Mountains or Alaska Range. Specifically for high school girls from 15 to 17, these professionally guided expeditions are designed for 8-9 girls and include 12 days of exploring. Some trips give preference to girls in a specific state. Through the U.S. Department of State, you can earn a merit-based scholarship to study abroad to all the different countries. Programs are available from the Africa to Asia. These programs last about three weeks but can last longer and you must be 15-18. Students with exceptional math, science, engineering or technology aptitude can find free programs to fill their summer. These programs provide them technical training, mentorship and networking opportunities. The AFRL Scholars program is a paid internship that is designed for upper level high school students. STEM enthusiasts gain hands on knowledge working in the field on cutting edge research topics. To enter this free summer program, you must be at least 16 and able to work 40 hours a week. Offered yearly through the American Fisheries Society, this mentoring program for fisheries provides a paid government internship to youth through the Hutton Scholars program. These kids receive a $4,000 award and get to work with fisheries professionals in studying aquatic populations and fisheries management. Applications are only accepted for a brief period every year, so check back if you missed out during the current year. You will need to submit an online application and letters of recommendation to be considered for the program. High school students with a love for STEM will enjoy the one-week, three-week and edge programs offered by the Boston Leadership Institute. These outreach programs allow students to use the lab and get ahead of the curve. Applicants must be at least a sophomore and enrolled in Honor, AP or IB science courses. There's also an income requirement of less than $60,000 to qualify. A six-week summer program designed for rising high school seniors from MIT, MITES allows teens to take five STEM courses on their campus. You'll complete the program on campus and all the food and boarding costs are free. You'll need to get a ride to MIT though. Do you want to get a head start on your college major? Check out these programs that can get you ready for college. Princeton professionals from The New Yorker, Washington Post and CNN teach you how to produce a newspaper through lectures and workshops. This 10-day program also allows students to tour area news organization and create their own newspaper. Designed for high school seniors, the application process is competitive and requires letters of recommendation and proof of parent's income. Wingspan Theatre has a yearly summer program that is audition based for theatre students. This is a 6-week program that focuses on plays and musicals. High school students can also try out the Cabaret Troupe where students will put on a professional level performance. 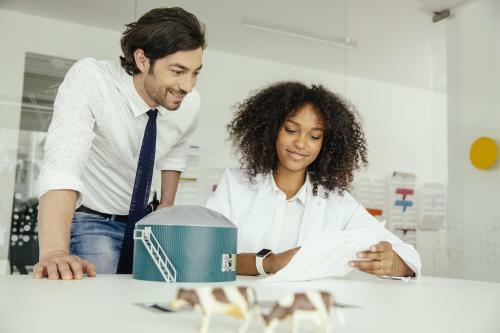 Designed for rising juniors and seniors, Carnegie Mellon gives students full immersion to college life in areas like STEM, artificial intelligence, gaming, art and drama. This 3-week program is open to all US students with strong academic records. PennState Smeal College of Business features a two-week BOSS program for high school students that are interested in business and management. You'll live on campus for the two weeks and need to provide transcripts and letters of recommendation. This is a five-week residential program open to high school juniors and seniors. You'll not only experience college life through courses but complete an internship and research project. There are also workshops available and a hospital behind-the-scenes experience. 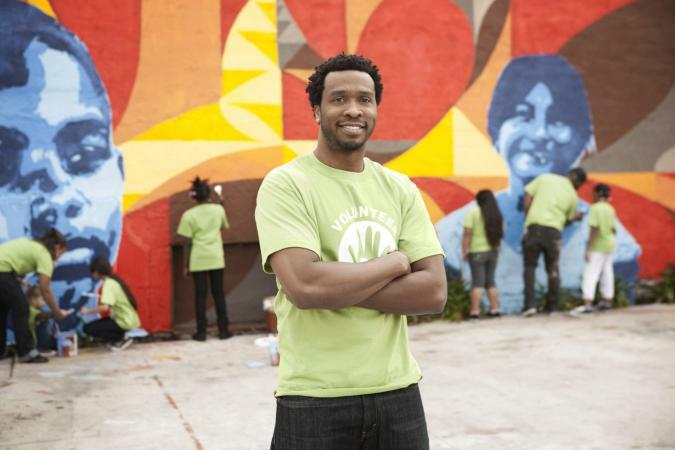 Finding a summer volunteer opportunity is easier than you think. There are typically national programs all over the US that you can participate in. 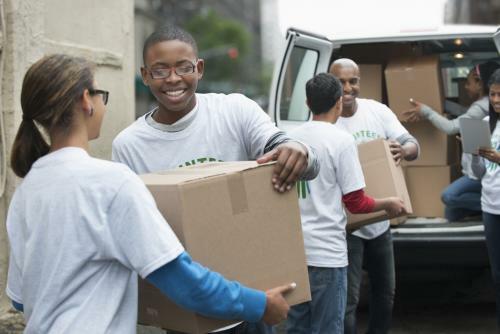 Check out these volunteer opportunities for high school students. The American Red Cross is always looking for local youth to volunteers to host a blood drive, recruit donors and assist in blood drives. They also have mission opportunities as well. This opportunity is available to all high schoolers. Do you love the wilderness? The National Park Service has you covered. Teens from 15-18 can take part in the Youth Conservation Corps and get paid. NPS also offers the scout ranger program for boy's and girl's scout troops like Cub Scout, Webelos, Daisy, Brownie, etc. If you are an 18-year-old high schooler, you might choose to volunteer in a UN agency. Volunteer projects explore human rights, climate change, peacebuilding and disaster management. Those looking for a summer program will complete a short-term assignment. At Habitat for Humanity, you can find an array of summer volunteer fun through helping the less fortunate. Not only can freshmen through seniors help with builds, but they can participate in improving their community and help out at the donation center. Opportunities are available through several local chapters. Maybe you want to spend your summer challenging your brain through courses that you can do online. Not only will they prepare you for college, but they can push your learning. Most of these courses are self-paced and can be completed throughout the summer. Do you want to prep for the SAT or just catch up on geometry? HippoCampus.org has over 7,000 courses in subjects like math, science, humanities and natural science. Freshman to seniors can benefit from these online courses. Through MIT Open Courseware, you can expand your knowledge in STEM subjects along with humanities and fine arts. While the courses are all available online, the materials may or may not be available to you. Some courses will include video lectures while others will include the notes and projects. At edX, high school students can use their summer to prepare for college and AP Exams. Covering a variety of subjects from English to computer science, you can maximize your scores and get ready for your future. 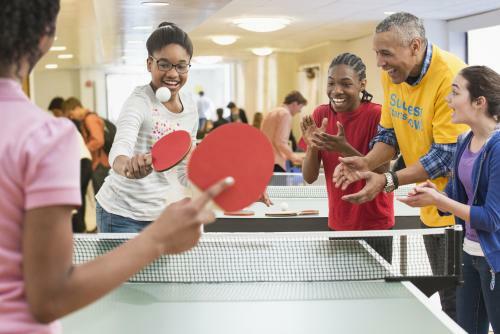 While national and online programs are great and all, finding local summer activities for teens can be more helpful for those that might not have their license yet or just no wheels. Several places can help you find free summer programs in your area. Not only can libraries clue you in on local volunteer opportunities, but many libraries have a summer reading program where you can read to kids. Or you might be able to volunteer in the library. Many also have a list of free activities teens can find around the area. Community centers know what is going on in the community. Therefore, they can give high school students access to free projects, volunteer opportunities or community service projects that might be happening in your community. Local opportunities to do activities with the elderly or clean up your community are also found here. You can also find community theatre productions that are available. Most city halls have a board that might list scholarships or volunteer opportunities that are available to youth in your area. You might take part in a project to clean up a park or do a read and play at the playground for kids. You might even take part in cleaning up your local highways or roads. High schools are a wealth of information if you are looking for summer programs before summer begins. Not only can they let you know about study abroad or exchange opportunities that are available, but most know the volunteer projects that are happening with the community. If you are looking for college preparation programs or looking for theatre or art programs, your local community or 4-year college is where it's at. Just walk in and they can tell you all the different programs that they are offering and what it takes to apply. However, for college programs, you'll want to make sure you plan in advance since many of these close in the beginning of the year. Free summer programs for teens are not difficult to find, but take some resourcefulness. The best place to start is with your interest. Chances are good that you can find a rewarding and interesting program that is the perfect fit.